Have you seen this book? 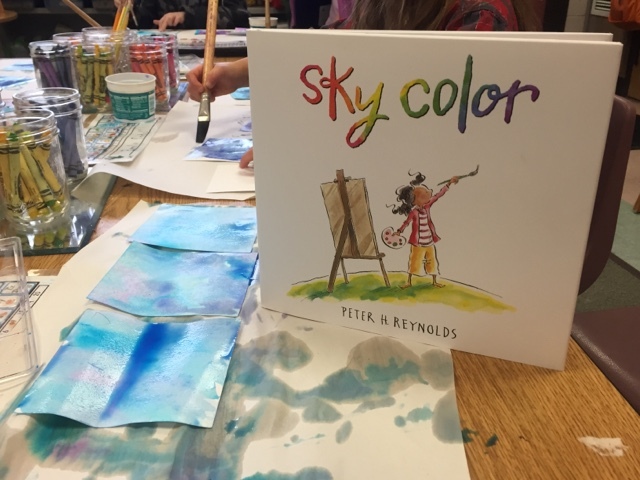 I love Sky Color, by Peter H. Reynolds. All of his books are inspiring and speak to creativity. We read this book in my kindergarten classroom last week and started really looking at the sky. Winter, in the Pacific Northwest, does not always lend itself to a sky study. We check the weather every day and, just about every day, it’s gray with water falling from the sky. It’s a dreary place in the winter, so we turned to photographs for inspiration. 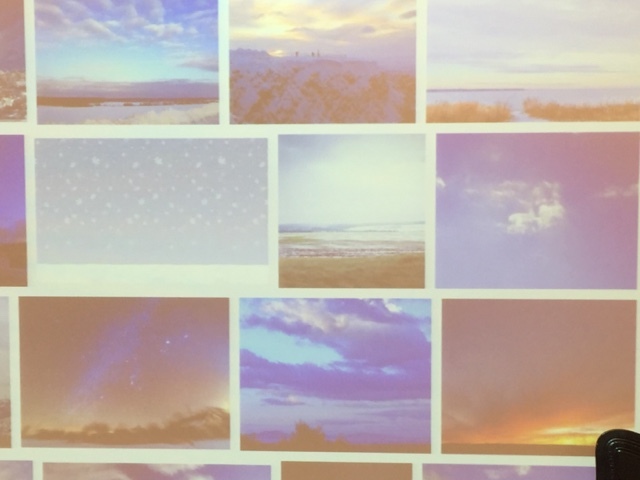 We talked about all of the different colors we see in the sky and then looked specifically at winter sky scenes. Then we broke out the watercolors. 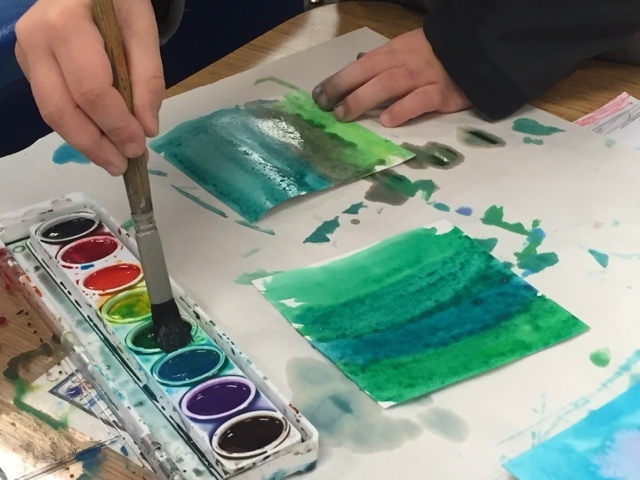 These paintings turn out so much prettier when they are done on watercolor paper, but specialty paper isn’t something the public school system jumps at funding. We painted our sky scenes on white construction paper instead. 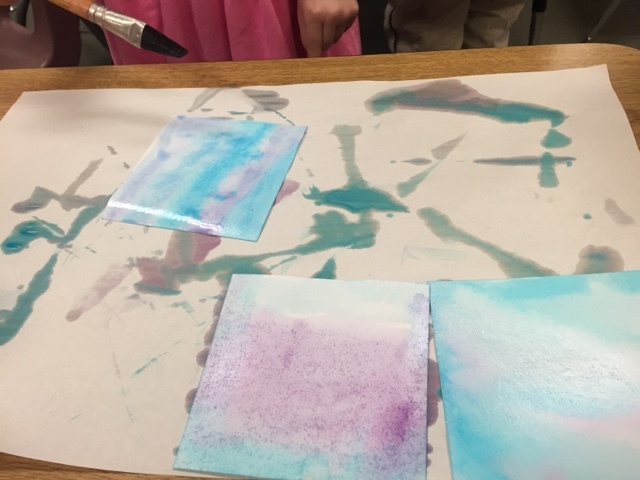 Most kids stayed in the cool blues and purples, but a few wanted to add their own touch. Who am I to say a sky can’t be green? I think Peter Reynolds would be proud. In Seattle we call this Seahawks Sky Color. Photos of the finished art project are coming soon! Happy painting!